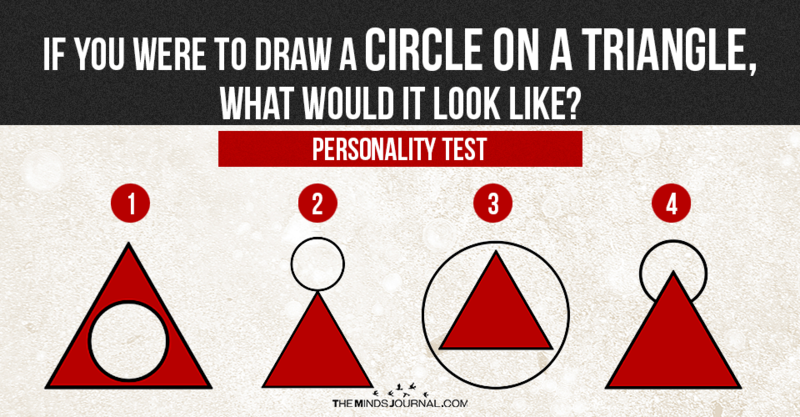 The way you draw a circle on the triangle can reveal a lot about your personality. Amazed? Try it. 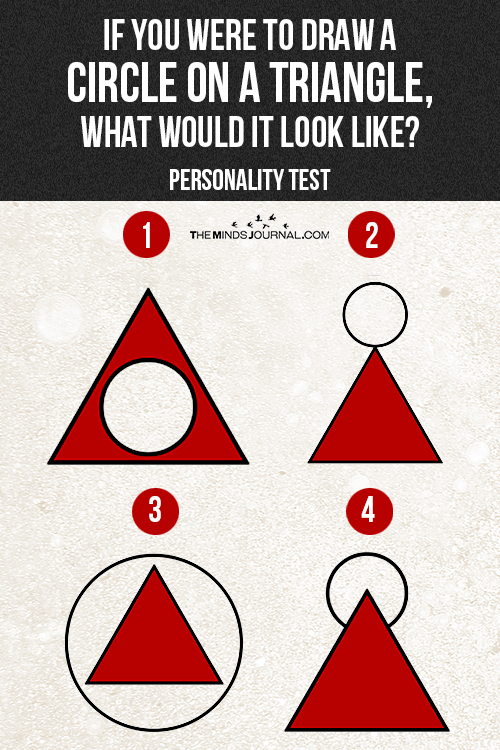 The triangle represents human beings and the circle represents how you conduct your interactions with them. This signifies you are a warm-hearted and nurturing person. You are always there to help anyone who needs it. You receive strangers with a smile. Your family and friends love you and depend on you a lot. Since you drew the circle in the middle, it means you are always surrounded by human beings. You are very social but you keep your personal life a private affair. You have a close group with whom you share your life. Placing the circle on the top of the triangle signifies you are conscious of the world around you. You are not extremely detached from your peers and you are not too involved with them, either. You are confident and focused on your own work. You are admired by many because of the interesting things you are doing. You don’t necessarily go around socializing or bonding with people every now and then. You understand your priorities. You do have quite a good number of followers! You are always there for people no matter how long you know them. From strangers to your loved ones, you jump into helping them without thinking about the consequences. You are like a guardian to people around you. People come to you for advices and whenever they need anyone to talk to you, they always remember you. You are extremely loyal as well as smarter than others. You are the ultimate cheerleader! You always encourage others in whatever they do. You feel happy when others succeed. The word ‘jealousy’ doesn’t exist in your dictionary. You are positive and can even make gloomy situations brighter. You boost others’ confidence and a lot of people in town know you.